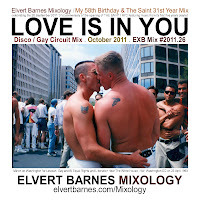 Featuring the photography of and artwork by Elvert Barnes click the cd cover to listen to and/or download my 5 October 2011 LOVE IS IN YOU disco / gay circuit mix. 2. Midnight Music (1979) - Stevie B. 7. How Long (12'' Mix) - Lipps Inc.